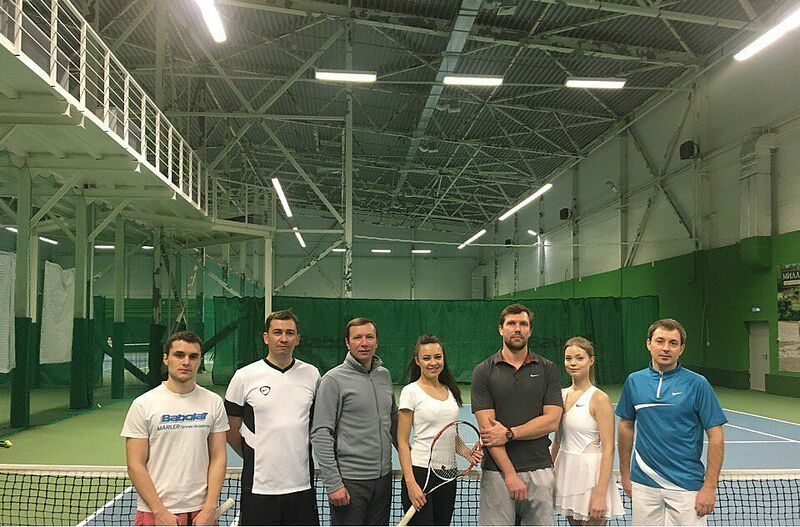 November 26, 2017, on the courts of the Ural tennis center, the tennis tournament in honor of the USUE 50th anniversary took place. The event was organized by the USUE Alumni Association and the Institute of Management and Information Technologies. 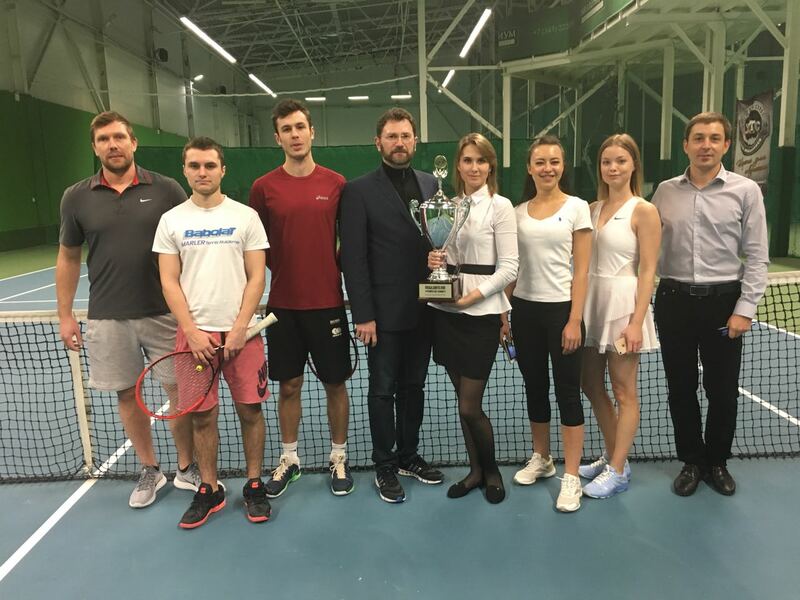 For the first time, participants in the doubles were graduates, lecturers, and students of the University, for whom tennis is not only a source of the healthy lifestyle but also a place for professional communication that unites representatives of different generations. In a tough struggle in the following pairs of tennis players reached the semifinal: A. Plakhin and M. Leinik, A. Kokovikhin and A. Ershov, A. Dymshakov and B. Milalksnis, A. Strashkov and L. Gafarova. 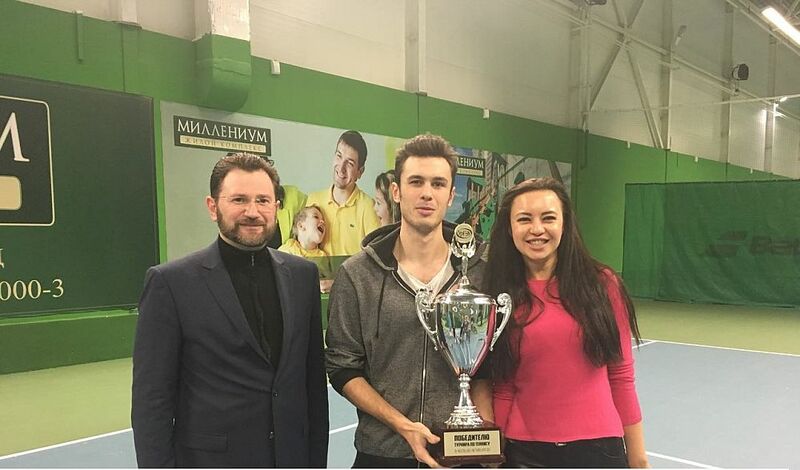 The winners of the tournament in the final game were a student of UP-17 group A. Strashkov and a 2017-graduate A. Gafarova, whom the President of the USUE Alumni Association A.V. Kazantsev and director of the Institute of Management and Information Technologies A.Yu. Kokovikhin handed the Champions Cup.